Ever wonder what might happen if a troop of LARP-ers suddenly went wacko?! Well wonder no more in this new thriller I just saw the trailer for. 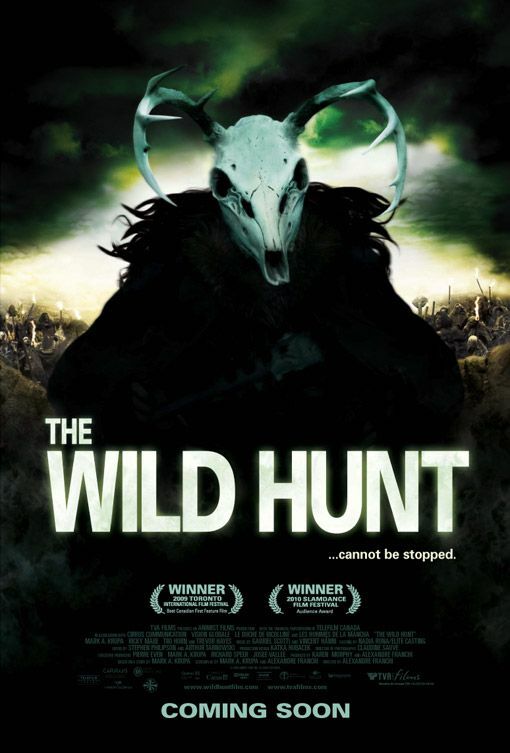 “The Wild Hunt” follows a crew of live action role players that would make Tom Hanks’ version of Mazes & Monsters look like an afternoon on Sesame Street! Now keep in mind I haven’t actually seen this Canadian movie yet but I have heard some great things about it. I have also heard that LARP-ers all over the world are taking offense to flick saying that it gives them a bad name! I say if you are a LARP-er you are probably already gonna have a hard time getting people to take you seriously! It’s like people getting offended by Child’s Play and saying it gives Cabbage Patch Kids a bad rep – get over it! Now quite honestly I have always been intrigued by the idea of it all and may even some day give LARP-ing a real shot as our D&D games are borderline already dabbling in that territory-just with maybe a bit more booze, weed and Oreo cookies involved! I think it’s a great idea for a thriller and I personally can’t wait for this one to arrive in my mailbox! Ever see the movie Monster Camp? It’s a documentary on LARPers. Yeah I really liked that movie-it had a guy from portland in it!! idea for a thriller…the first of it’s kind.